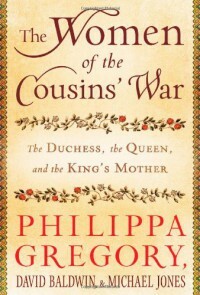 The Women of the Cousins' War was written to bring to light the "truth" behind the women featured in Philippa Gregory's Cousins' War trilogy, The White Queen, The Red Queen, and The Lady of the Rivers. Jacquetta (The Lady of the Rivers), Elizabeth Woodville (The White Queen), and Margaret Beaufort (The Red Queen) take center stage in this exploration of their lives and how they were very much a part of the Cousins' War, or the Wars of the Roses. I have to admit to not knowing much previously about the Wars of the Roses except for the most minute details. I found the accounts of the events very interesting and thorough in this book.While Philippa's "essay" was supposed to be about Jacquetta (mother of Elizabeth Woodville), her section really centers on the unfolding of the events in the Cousins' War...we really do not learn too overly much about Jacquetta. However, I don't fault Gregory for this, as she does state in the introduction that very little is known about Jacquetta. What Gregory does reveal about Jacquetta is that she was a loyal and staunch woman who bore fourteen children--a major feat in that era.I found that David Baldwin's account of Elizabeth Woodville (wife of Edward IV and mother to the princes in the tower and the future queen of England, Elizabeth, mother to Henry VIII) was the most interesting, as he explores both sides of what was said about her. On one hand, she has been maligned as a witch, that she obtained her marriage to Edward IV through sorcery and that once she achieved such high status, she became a cold and calculating person. 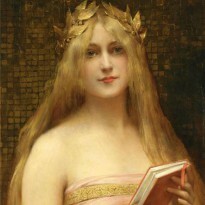 However, in some accounts of the time, she is portrayed as a generous and charitable woman who was patron to many religious institutions. She also had a great love of learning and the written word.The final woman featured in the book by Michael Jones, Margaret Beaufort (mother of Henry VI and grandmother to Henry VIII), would seem to have had one end in mind and that was the advancement of her son, Henry. According to Jones's account, this was quite the truth. Throughout the maneuverings of the Wars of the Roses, Margaret had only one goal and that was seeing her son on the throne and, as we know, she succeeded. Margaret was the most tenacious of the three women, in my opinion.In conclusion, I have to say that I enjoyed this book thoroughly. I now have more knowledge about the Wars of the Roses (the Cousins' War) and I look forward to reading more about the all the other individuals who were involved in the events. Also, I have not yet read Gregory's Cousins' War trilogy (although I own two of the three books) and I feel that when I do, this book has given me great insight into the true events behind the fictionalized stories in the books.